Val Sinclair – "Val Sinclair is one of that breed of (jazz) singers who can make a venue feel deliciously smoky with her voice of pure, deep velvet…." VAL SINCLAIR is well-known in the UK as a professional vocalist who is at ease with many music genres. STOP PRESS – ‘GET THE GROOVE’ – I’M REALLY SORRY THAT THIS CONCERT HAS HAD TO BE POSTPONED DUE TO A ‘THROAT’ PROBLEM I HAVE WHICH WILL NOW BE TREATED THE WEEK PRECEDING THE EVENT. HOWEVER A NEW DATE WILL BE PUBLICISED IN DUE COURSE. ******NEWS FLASH****** DELIGHTED THAT ‘LAVENDER AND LACE’ MADE ME A SEMI-FINALIST IN THE UK (INTERNATIONAL) SONG-WRITING COMPETITION!! *PLEASE VISIT THE NEWS PAGE** to hear Lavender and Lace! ‘Cool Cool Daddy’ – Have a listen to the first track on our album ‘Blackbirds on the Loose’. We love the piano intro by Pat Brandon which emphasises the album title. 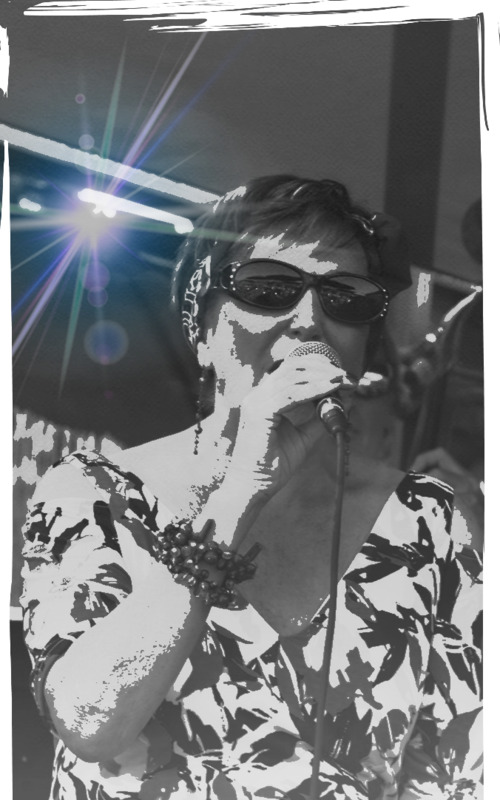 Based near Cambridge, Val Sinclair works with a number of bands but her own are the ‘Sizzling Jazz and Blues Band’ (playing blues, main-stream jazz and latin), and ‘Turquoise‘ which plays an eclectic mix of music. “It’s hard to anticipate what they might play next, they are so talented and certainly not repetitive. A great mix for concert”. “A gorgeous voice and the Blackbirds album is “like a delicious box of chocolates” BBC’s Sue Marchant. “Some vocalists just sing, but some are ‘singers’. Val Sinclair (and Martin Leigh) are “singers” Sam W.